INTRODUCTION - To correctly and safely load vehicles on your lift, it is necessary to determine the weight and Center of Balance (CB) for each vehicle being lifted. 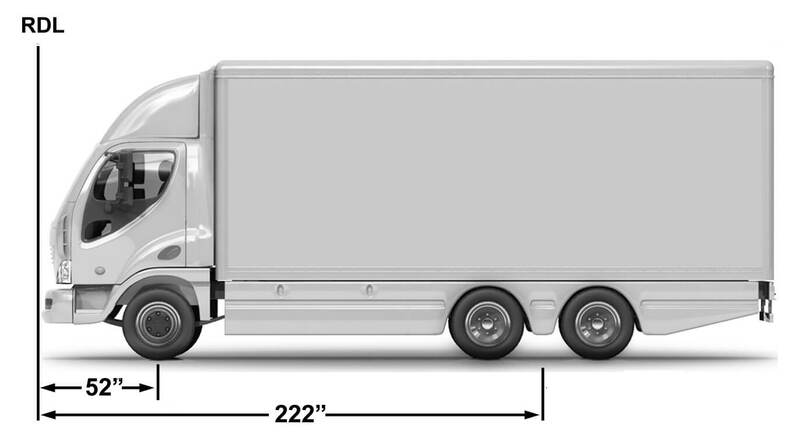 FOH - (front overhang) distance in inches from front bumper to center of front axle. 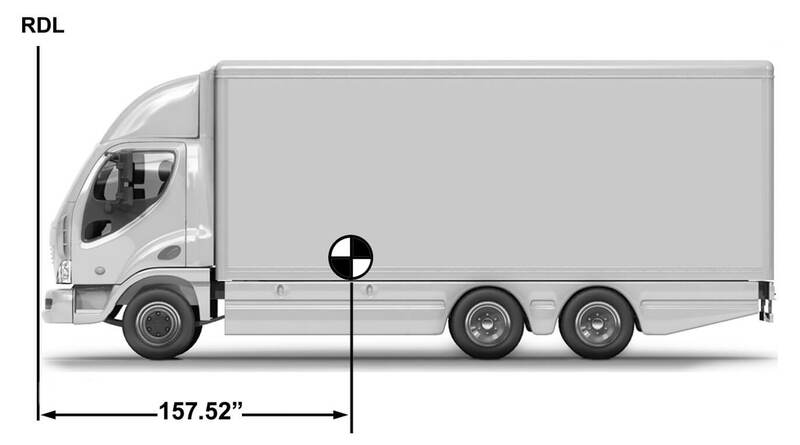 WB - (wheel base) distance from center of front axle to center of rear axle or center of tandem axles. FAW - front axle weight in pounds. 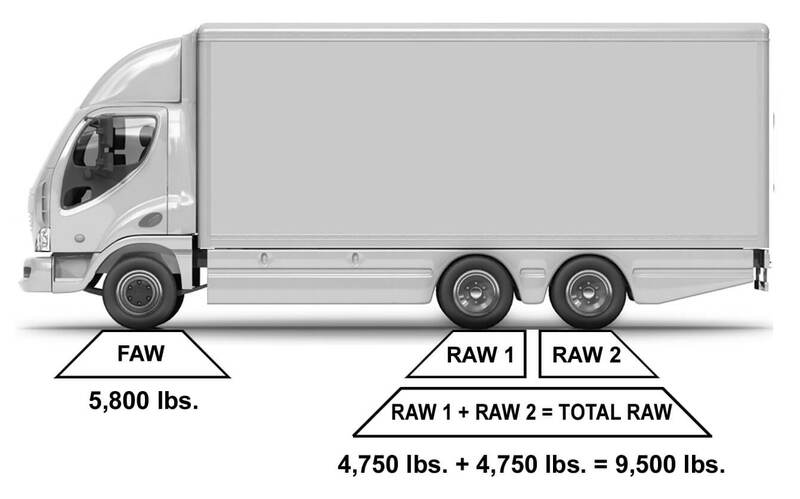 RAW - rear axle weight in pounds. GW - gross weight in pounds. RDL - (reference datum line) predetermined point from which all measurements are taken. MOMENT - the product obtained by multiplying the weight by the distance from the RDL. 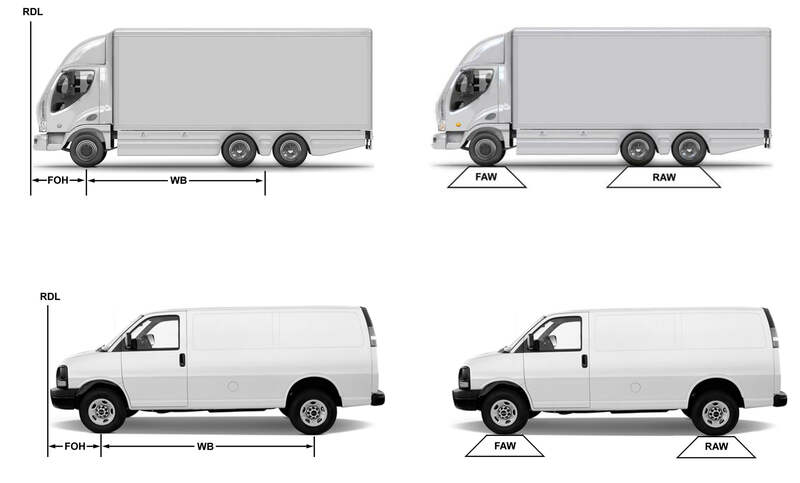 Figure 1 illustrates the vehicle measurement points that must be used to calculate the CB of a vehicle. STEP 1. Determine front and rear axle weights and gross weight. 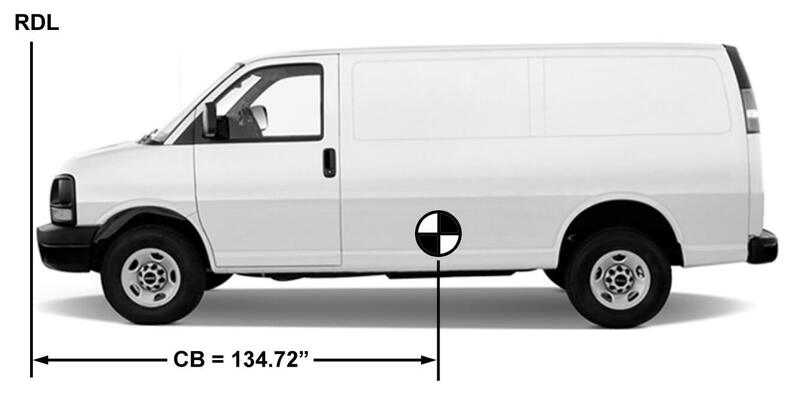 VEHICLE MEASUREMENTS - If axle weights are not accurately determined, and/or weight scales are not available, DO NOT lift the vehicle until axle weights are confirmed. If no data plate is found, contact the vehicle manufacturer directly or refer to the vehicle operator’s manual. STEP 2. Determine distance from the front and rear axles to the RDL. STEP 3. Enter the information obtained in steps 1 and 2 into the formula to determine the moment. STEP 4. Divide the total moment by the gross weight. 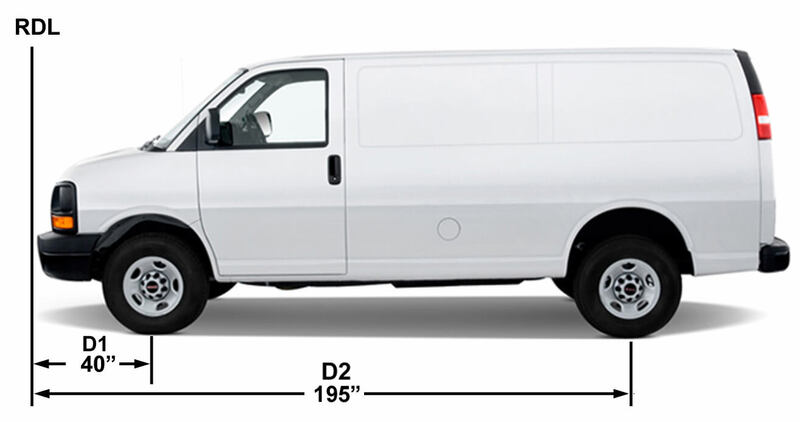 1,212,500 ÷ 9,000 = 134.72"
This final result (134.72”) is the CB of the vehicle measured from the reference data line (RDL). 2,410,000 ÷ 15,300 = 157.52"
This final result (157.52”) is the CB of the vehicle measured from the reference data line (RDL).